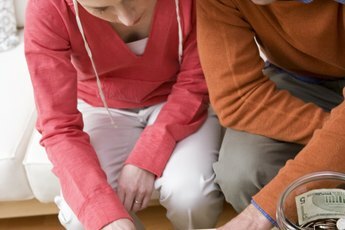 How Much Money Should I Put Into Pretax Retirement Savings? During retirement, you'll pay taxes as you withdraw savings. In your 20s and 30s, you're probably not even thinking about retirement. But unless you're independently wealthy, you'll need some way to survive after you stop working. Saving a portion of your income in a pretax retirement plan is one way to build up a stash. How much you should save will depend on a few things -- your age now, when you want to retire, and how much money you think you'll need. First, see whether your employer offers a 401(k) plan. With a 401(k), your money goes straight into savings before the government taxes it. What's more important, your employer might match a portion of the amount you save. This helps grow your retirement income faster. Employer contributions also allow you to contribute less. Say you'd like to save 10 percent of your income each month. If your employer matches 3 percent, you'll need to put in only 7 percent. See whether there's a minimum percentage you'd have to put in before your employer would start matching. Most people have at least 30 years to save for retirement, as long as they start young. 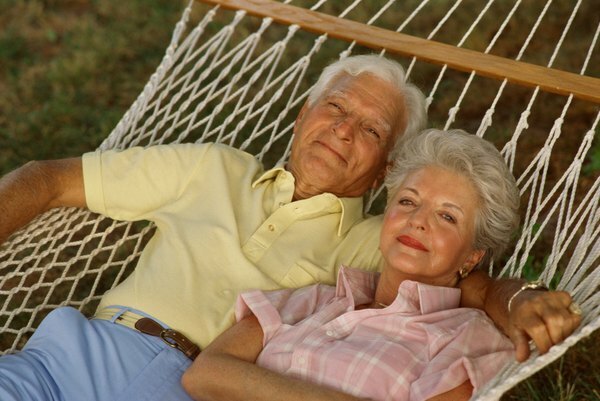 According to CBS News, you should save 13 to 15 percent in a pretax retirement plan or 401(k). This percentage includes any money your employer kicks in. So if your job gives you a 5 percent match, you'll need to save at least 8 percent. This is the ideal range for someone with an average income and without a large amount of debt. Try to put in slightly higher amounts if you think you'll need more money during retirement. It might be more difficult to think about saving if you have a lot of student loans. Remember that you can consolidate student loan debt to get your payments down. Low payments mean you'll have extra money to save. The interest rate on your loans is also usually lower than what you'll earn in a 401(k). According to Bankrate, the average growth rate for a pretax savings plan is 8 percent. As of 2013, new federal direct student loans charged less than 7 percent interest. Credit card debt is a different ballgame. If you have a lot of money racked up on plastic, pay it off first. This doesn't mean you should completely abandon saving for retirement. But the truth is that you'd lose more by just paying the minimum on your credit cards. Typical interest rates on these balances are between 18 and 29 percent, according to CBS News Money Watch. You'd have to invest in a pretty aggressive 401(k) fund to beat that. The best thing in this situation is to save only what your employer requires for its match. If the company requires 4 percent, save 4 percent. Helen Akers specializes in business and technology topics. She has professional experience in business-to-business sales, technical support, and management. Akers holds a Master of Business Administration with a marketing concentration from Devry University's Keller Graduate School of Management and a Master of Fine Arts in creative writing from Antioch University Los Angeles. How Much of My Salary Should I Save for Retirement? Is it Better to Max Out a 403(b) or IRA? 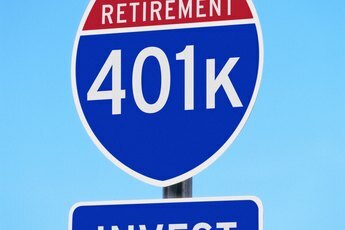 How Much Should I Invest in My 401(k) Based on Salary? 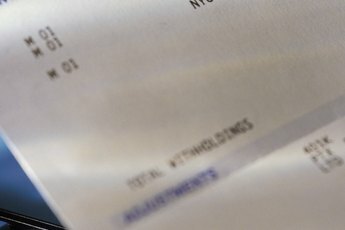 How Much Should People Save From Each of Their Paychecks? Can You Have a 401(k) and a TSP? How Much Money to Save & Invest? What Does the Average Person Have Saved for Their Retirement? Can I Put All of My Bonus in My 401(k) to Avoid Taxes?